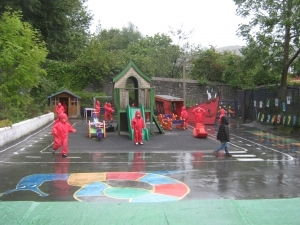 St Padarn’s Playgroup is a charity that aims to provide education combined with planned activities, following themes and encouraging free play. We try to prepare children for school whilst embracing their individual needs through the medium of English and Welsh. With outdoor and indoor play, snacks, planned activities and free play, all scheduled into each session, you can be assured that your child is growing, learning and having fun and most importantly being cared for. 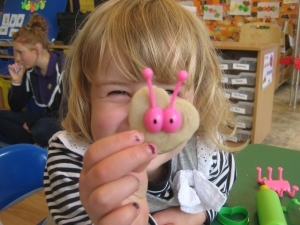 The Playgroup was established 40 years ago and has a long history of providing high quality affordable childcare. We are registered with CSSIW, for full day care though operating as sessional care. We are fully insured through the Wales Pre-School Playgroup Association and are organized and run by an elected committee of parents. We can provide care for a maximum of 19 children aged 2 years to school age at a minimum ratio of 1:4 for age 2 years and 1:8 for 3+. We also offer extended care for our playgroup children and an after school club for St Padarn’s School (for pupils in the Foundation Phase) until 5.30pm Mon-Fri. Please feel free to arrange a visit during one of our sessions to find out what we do and what we can offer your child. By sending your child to St Padarn’s you will automatically become members of the charity that runs the Playgroup. We encourage all parents to be as involved as possible with the running the Playgroup and where possible join the committee. Your contribution is vital to the continued running of the Playgroup. We currently have an active committee that meet regularly to discuss the day to day running, educational needs and the on-going business needs of the playgroup. We work with helping hand to provide additional support for children. We have a number of staff that are ELKLAN trained and will work with you to find a staff member with the skills to suit your child’s needs. 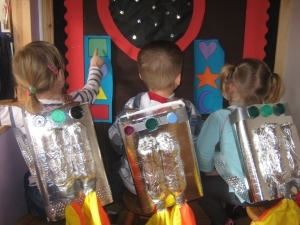 At St Padarn’s playgroup, we follow the Welsh Assembly Governments foundation stage and work closely with the local education authority to monitor the progress of all 3+ children. Read more about the Welsh Government’s Foundation Phase guidance. We assess all the children who are receiving any funding. If parents wish to see these records they are welcome to see their child’s sheet by arranging a suitable time with the Playgroup leader. 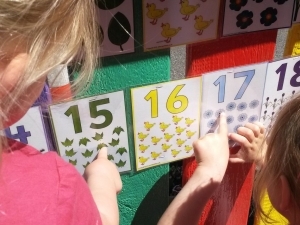 Playgroup activities are varied and stimulating and include outdoor play on our own playground, sand, water, construction toys, painting, gluing, stories and singing. We also arrange visits and visitors each term. If you wish to find out more about what your child will do in Playgroup please come along to a session and see the children at play. 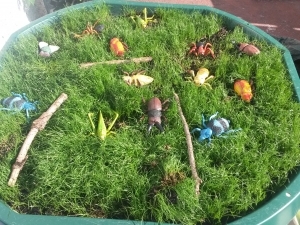 We follow the WAG Foundation phase framework as our curriculum, and try to spend a lot of time doing outdoor activities. Welsh or English NOT your first language? We are happy to try and learn a few basic words to help your child feel welcome. We use local amenities as much as possible with trips to the library, local woodland and park as often as can be arranged.